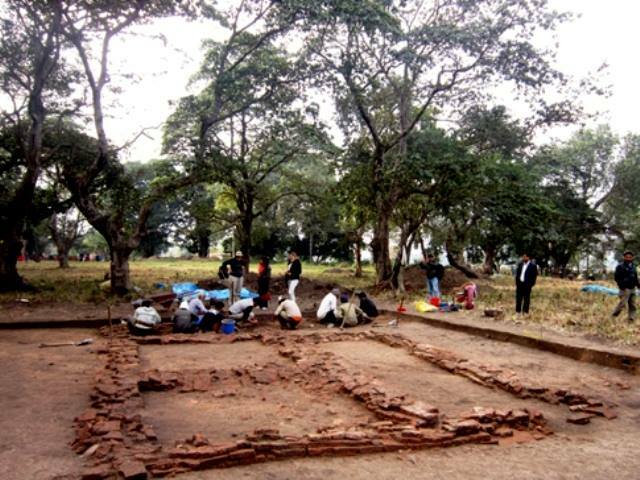 KAPILVASTU, Feb 24: The latest archaeological excavation carried out under the aegis of the Department of Archaeology has discovered that Kapilvastu has the highest number of archaeological sites in the country. It has identified 136 archaeological sites in the district. Department's spokesperson Ram Bahadur Kunwar said that this is the first time so many archaeologically significant sites have been found in Kapilvastu district. Lumbini, the birthplace of Gautama Buddha, which is a World Heritage Site, also lies in Kapilvastu district in Province-5. According to him, Rupandehi has 99 archaeologically important sites and Nawalparasi around 40 such places. Some of the major archaeological sites in the Kapilvastu district include Tilaurakot, Aaraurakot, Kudan, Niglihawa, Sagarhawa, Gotihawa, Dohani, Prachin Stupa, Sisahaniya among others. The ruins of the palace of the king Suddhodan, the Buddha's father, who ruled over the ancient kingdom Tilaurakot covering 34 bigahs area is now a protected zone. The Department has also acquired the land plots around the area belonging to the locals where it plans to carry out archaeological research. The monuments more than 100 years old are considered as ancient monuments and the artefacts older than a century as archaeological artefacts, archaeology officer Subhadra Bhattarai said. The latest archaeological exploration in Tilaurakot has found pieces of earthen ware, statues, silver coins and some metal artefacts. Laboratory test of these artefacts revealed the presence of human civilisation around this area dating back to 800 BC. Artefacts from the period of the Maurya dynasty rule have also been found in Tilaurakot and other places in Kapilvastu. Kapilvastu Municipality mayor Kiran Singh said that excavation is underway to find various evidences in line with international standard so as to have Tilaurakot also enlisted in the list of UNESCO World Heritage Sites.